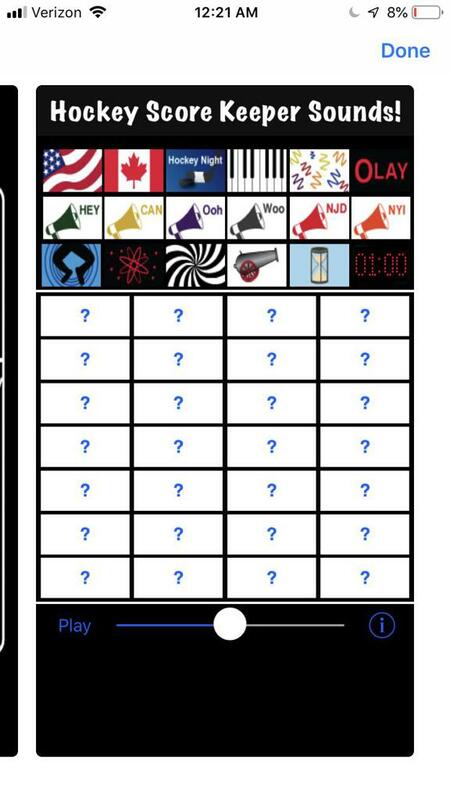 For All You Shade Tree DJ's...Here's the App to Make You Feel Like the Big Time Working the Scorer's Table!! 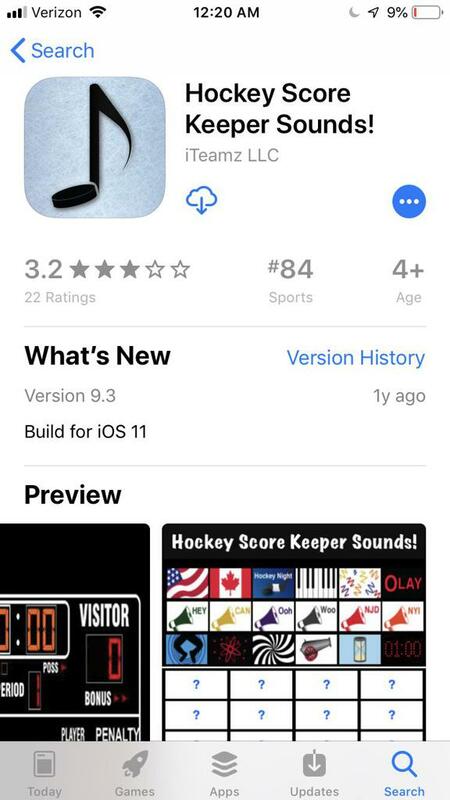 GET THE SOUNDS OF A HOCKEY SCORE KEEPER - CLICK HERE!! Daaaaah nah nah...HEY! !...Dah na nah!! Questions marks become the songs in your library. Pre-load and be ready for the game. No more searching through your library.